Someone who craves the delicious flavor of turkey and incorporates it into family meals. 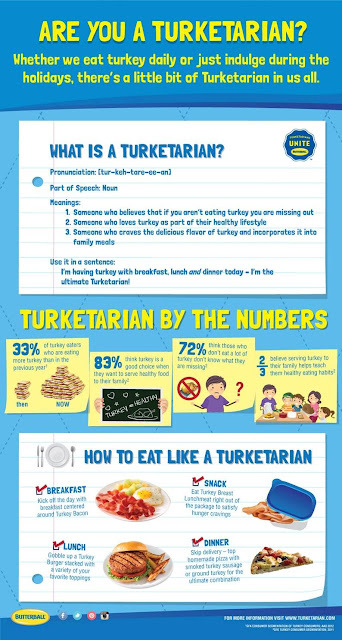 Butterball contacted me to see if I wanted to get involved with their Turketarian program, and I thought it sounded like a great idea, since turkey is already part of my year-round diet. When I started thinking about how I wanted to share my love for turkey with you, turkey burgers kept running through my head. We've been doing a lot of grilling this summer, and turkey burgers would change things up a little from the usual beef burgers, hot dogs, and sausages. I went in search of ground turkey to make the turkey burgers and couldn't find Butterball ground turkey anywhere. I was starting to give up on my turkey burger idea when I saw Sues' post and noticed that Butterball actually makes frozen turkey burgers. I found these the next time I was at Stop & Shop and was ready to move forward with my grilled turkey burger idea. Truth be told, I'd rather make my own, but there's something to be said for the convenience of frozen turkey burgers. I thought it would be fun to do a sort of turkey burger bar with some different toppings to choose from. The obvious combination would be avocado, pepper Jack cheese, and bacon, so I skipped all of those. I went with apple slices, shredded cheddar, and baby arugula for one combination and a spiced tomato-onion jam (recipe below) and feta for another. The burgers (straight from the freezer) take about 5 minutes per side on a hot grill and they're already seasoned so you can just throw them on. While Jeff grilled the burgers, I arranged all the toppings on a platter. For the cheddar, apple, and arugula version, I put apple slices and cheddar on the burger just before it came off the grill so the cheese would melt over the burger and apples. Since the feta doesn't really get melty, it can just be put on after the burger comes off the grill. Once the burgers are done and the buns are toasted, you can arrange your toppings and dig in! Heat oil in medium saucepan over medium heat. Add tomatoes and onion and cook, stirring often, for 10 to 15 minutes, until mixture has thickened. Stir in za'atar, salt, and pepper. There are lots of ways to eat turkey throughout the year. It doesn't have to be saved for a special occasion. To inspire you to add a little turkey to your diet, Butterball is offering one of my readers a $25 Visa gift card. To enter to win, simply tell me your favorite way to eat turkey in the comments. You have until September 18, 2013, at 11:59 p.m. EST to comment. I'll choose a winner shortly after. Please make sure to leave me some way to contact you. 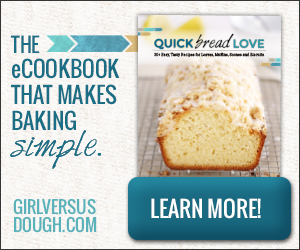 Butterball sponsored this post and giveaway. All opinions are my own.